Signs Of Being In Ketosis	No ratings yet. Keto 101: What Are The Signs You’re In Ketosis? Have you been hearing about the keto diet everywhere you go? You’re not alone. We can’t seem to get away from the wellness trend that’s been sweeping the nation. (Well, duh, it’s quite literally our job). But everyday people everywhere are embracing the change and trying out the keto diet. And they say the results they’re seeing are incredible. But how do you know the signs of being in ketosis? How will YOU know when your body has turned into a fat burning machine? We’re here to help you figure that out. Ketosis is a metabolic state where your body begins to burn fat for fuel instead of carbs. Normally, our bodies tap into carbs when we need energy to live. But in the keto diet, you take in very little carbs, forcing your body to burn fat instead. Which means faster, easier weight loss according to those who love the keto diet. And it’s true, you do have to cut back on carbs. BUT that means you need MORE fat to burn for energy! And you know what that means? You can keep eating cheese, bacon, steak, and more ALL while losing weight. Alright, so you’ve been eating your keto diet. Maybe the weight has started to come off. But how do you know for sure if your body is burning fat efficiently? You have to know the signs of being in ketosis. Bad Breath| A ketogenic diet could increase ketones like acetone in your body. This is eliminated from the body in your urine and breath. Some people experience mild to moderate odor to their breath when they enter ketosis. Weight Loss| One of the most obvious signs of being in ketosis is weight loss. This one really speaks for itself. Increased Ketones In Blood| If you REALLY want to be sure whether you’re in ketosis, you can test your blood for ketone levels! There are even test kits you can use at home available for purchase. Appetite Suppression| If you’ve noticed that you’re just not as hungry as usual lately, or that you are full faster, it might be one of the signs your body is in ketosis! Digestive Issues| Because the keto diet often involves major changes to the food you eat every day (for the better! ), some people experience some digestive upset in the beginning of their keto journey. Insomnia| Lots of people say they sleep better after entering ketosis. But at the start, some people experience trouble sleeping through the night when they first reduce their carb intake. Alright. So you’ve been eating the keto diet. You know the signs of being in ketosis. Now how do you stay there? The best thing you can do is stick to your ketogenic diet. Remember, taking in too many carbs could send your body OUT of ketosis and back to square one. 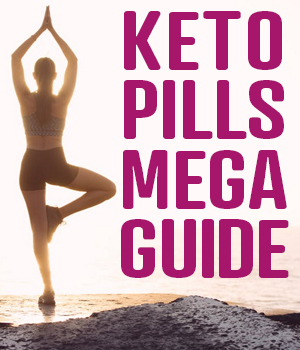 There are also a wide range of ketone supplements and pills that could help you to stay in ketosis, even when you aren’t eating a strictly keto diet. The bottom line is that there’s a way to make keto work for YOU. For anyone! And knowing the signs of being in ketosis could be your first step to major weight loss!